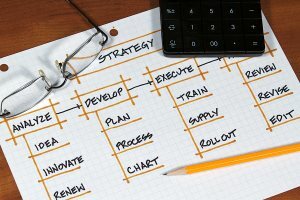 Is Your Talent Strategy Ready for 2013? As we move closer to 2013, employers face an unusual situation with respect to recruitment and retention, that is, according to Deloitte and Forbes Insights‘ Talent 2020: Surveying the talent paradox from the employee perspective, 80 percent of workers surveyed expect to stay at their current business over the next year. This is not earth shattering news in its own right. The newsworthy part here is maybe that this is a significant 45 point swing from 2011 when 65 percent of employees planned to leave their organization. This radical change in employee attitude from 2011 to 2012 can be explained by the fact that employees have been very career mobile in 2012 with a total of 91 percent of them either having changed jobs/roles or been promoted. This is why employees are not looking to move over the next year. On reading this, it could be tempting for employers to relax and to spend a little less time on retention strategies, but this could be wrong as the Deloitte survey also showed that 31 percent of employees are not satisfied with their jobs, which points to them being a flight risk – as we know, lack of job fit is one of the top three reasons that employees resign. So, there seems to be a paradox between the current employees’ overwhelming intention to stay put and the overwhelming forces of job dissatisfaction that are acting upon them, driving workers away from organizations. It seems that the talent situation in 2013 is not likely to be stable and companies are at real risk of losing talent even though the music has stopped for the moment. The issue here is that the talent that is most likely to leave could be the most valuable talent, that is the ones who have the most opportunities to move and the most pull factors operating on them, which will create enough inertia to move. These crucial employees may be more susceptible to a move whereby the lower performers may flirt with the idea of moving yet their attempts may peter out in the face of a lack of inertia and market interest. Focus on high turnover red zones. That is, segment your work-force and understand which areas, historically, have the highest turnover rates. This could be people with under two years of service and Millennials, according to Deloitte. Connect with employees using meaningful work. Deloitte pointed out that the main reason people are proposing to leave is that their skills are not properly utilized. So, employers should be talking to employees and assessing whether their jobs and careers are matching expectations. Create job flexibility, allowing employees the opportunities to rotate jobs and develop new skills. Leaders must be viewed as doing the right thing. Deloitte also found that a key stay factor for employees was having trust in corporate leadership. This means that leaders should be seen and should be holding regular town hall meetings (in face or virtual) to inform, connect, motivate, inspire and create a sense of belief. Of course, HR should also be aware of this unique talent climate to develop tailored hiring strategies for 2013. The strategies should focus on developing strong relationships with passive talent in areas that are deemed to be a flight risk so that they are best placed to respond and replenish critical talent if it becomes necessary.